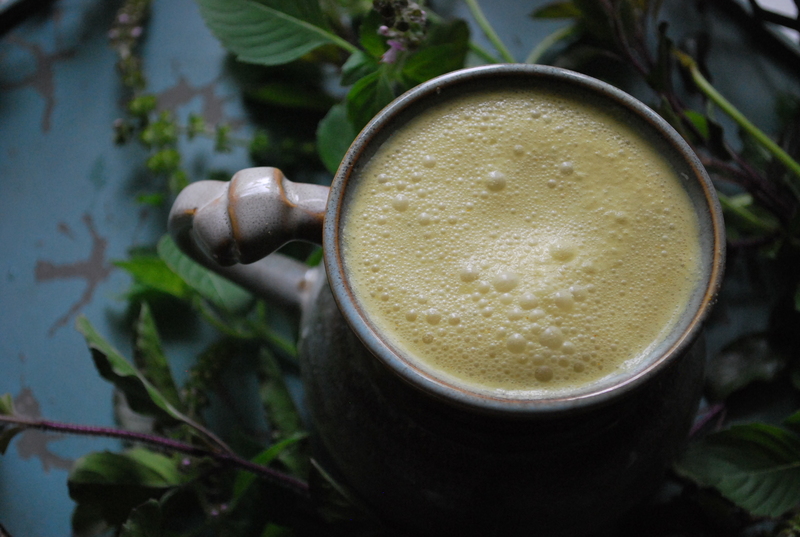 Golden milk is a traditional Ayurvedic recipe that uses milk, honey, turmeric, and black pepper. It’s considered to be highly nourishing and often lauded for the anti-inflammatory properties found in turmeric. Unfortunately, I think that the taste of golden milk, at least in the original version, can leave a bit to be desired. 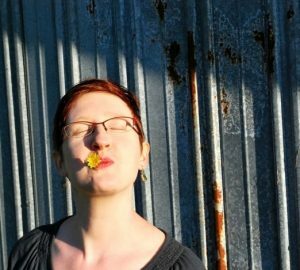 Turmeric is very earthy and, personally, I’ve never really enjoyed it as golden milk! In this version, coconut milk pairs with fresh ginger and fresh tulsi to create a much more sublime, aromatic golden milk that I love and prefer to drink chilled. If you can, buy a ready-to-drink coconut milk- usually found in the alternative dairy section at the grocery store along with nut, soy, and rice milks- instead of canned. Canned coconut milk will be too creamy to work well and usually has a higher fat content and calorie count. In a blender or food processor, combine the grated ginger, grated turmeric, minced tulsi, black pepper, and coconut milk. If you like, you can add ¼ teaspoon of turmeric powder to add an extra boost of turmeric and to deepen the color of the finished golden milk, but it isn’t necessary. 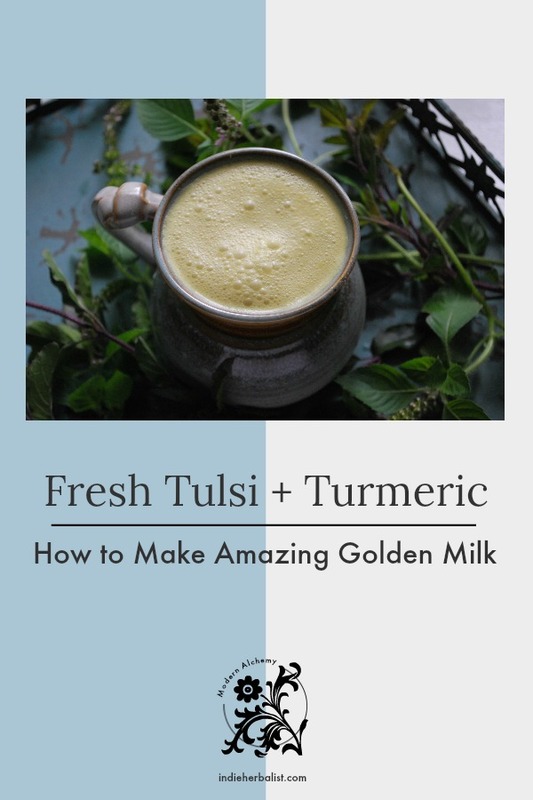 Blend for two to three minutes, until the tulsi leaves are blended well with the coconut milk and the milk begins to take on a golden color from the turmeric. Allow the golden milk to rest in the blender for 5-10 minutes. The color will deepen as the turmeric infuses into the coconut milk. Strain the blended golden milk through a mesh strainer or cheesecloth to remove the pulp. Pour into your favorite glass or mug and enjoy! 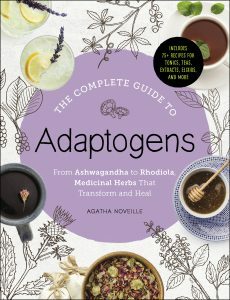 Don’t forget to buy your copy of Tulsi for the Garden, Kitchen, and Home Apothecary! 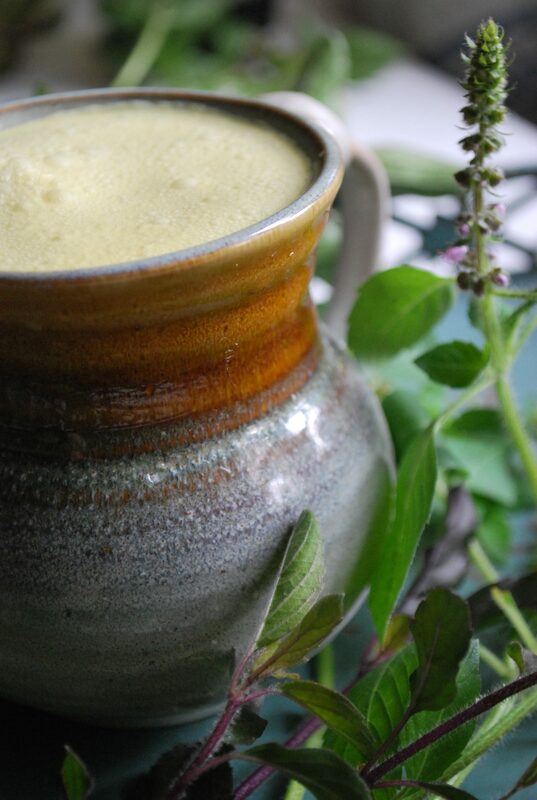 You’ll find instructions for making tulsi extract and glycerite to stock your home apothecary, lots of details for growing tulsi in your herb garden, and five more easy and delicious recipes to make with your homegrown tulsi.